Tom says, Don't leave San Francisco without walking across the Golden Gate Bridge. Are you a carnivore in San Francisco who's worried all the city has to offer is clams and salads with a latte on the side? 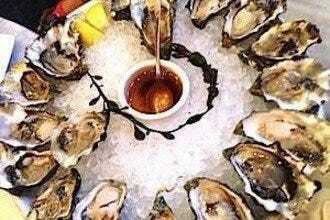 Although the seafood bounty of the bay is deservedly reflected on many restaurant menus, and a vegan certainly has some choice pickings (and you can't throw a sugar cube without it plopping in a latte), don't fret. 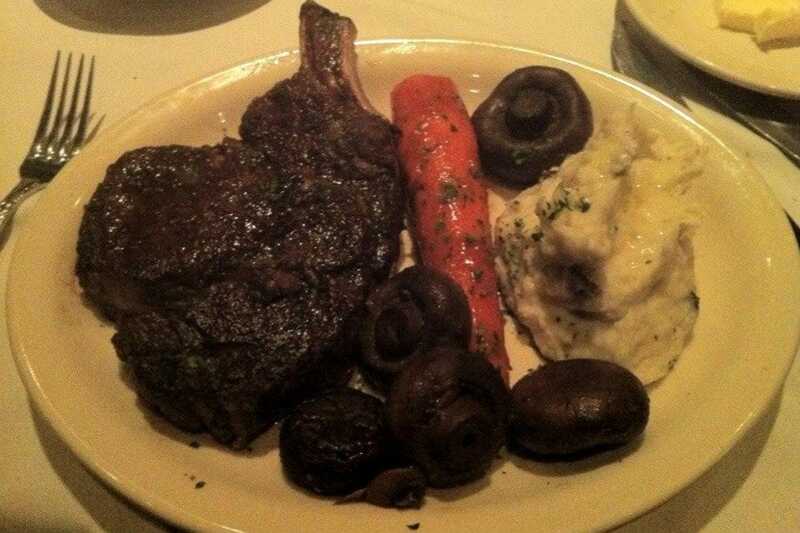 The Bay Area also has a long, proud tradition of enjoying a good, choice steak. After walking up and down the hills of San Francisco or returning from that long hike through Muir Woods, what else could possibly go with that glass of Sonoma pinot other than a hearty steak? 10Best has you covered. Our editors and locals search the city and suburbs for the top places. 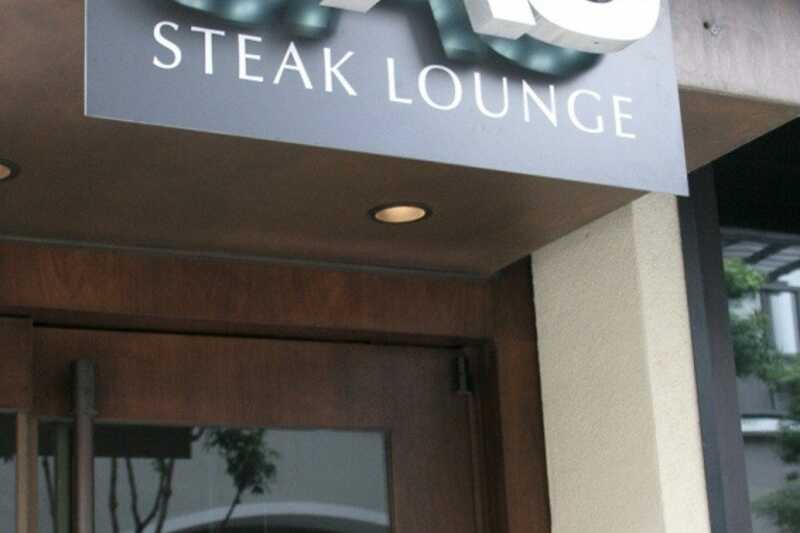 Then, we showcase popular restaurants like 5A5 Steak Lounge, and we highlight eateries with great user reviews, like Bob's Steak & Chop House - San Francisco. 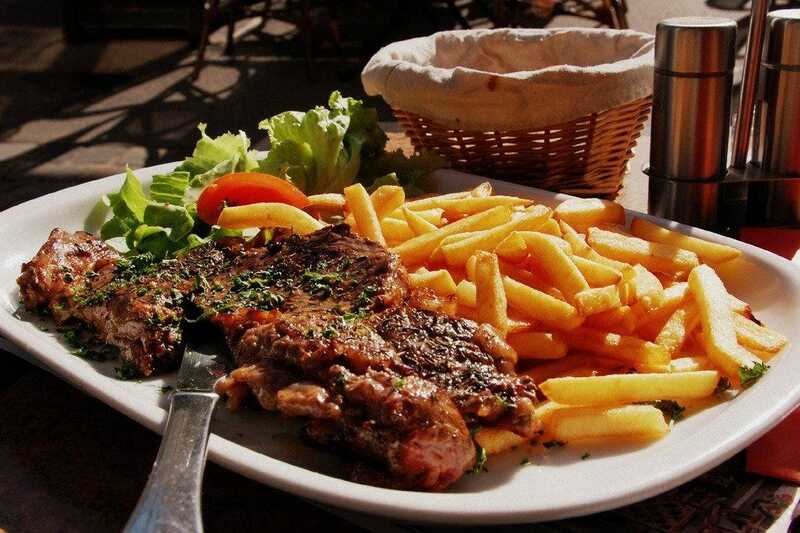 We also help you find areas where Steakhouses are prominent - Financial District, for example - so that you not only get terrific dining recommendations, but you also have choices to boot. 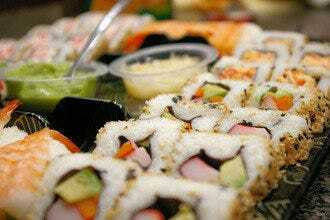 After all, if you're going to eat, you may as well do it right and take advantage of San Francisco's best. If you want to experience the cutting edge of California cuisine with your steak, Lolinda is the best place to capture that avant-garde spirit. Situated in the red-hot Mission district, where new and inventive restaurants seem to pop open overnight, Lolinda combines the rich history of Argentinean steak with the new-wave foodie fanaticism that has grabbed this town by its collar-tucked napkin. That means you can start your meal off with traditional pequeno, an appetizer that can be cold like ceviche or hot like croquetas, and finish with an inventive peanut butter mousse. In between you can delight yourself with tira (crosscut short ribs), matambra (flank steak), or ojo de bife (ribeye steak). 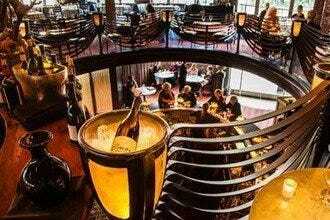 If you need your steak in an elegant setting, pick Harris' the San Francisco Steakhouse. Brass chandeliers and leather booths create a private and romantic atmosphere for your meals, which feature meat raised primarily in Kansas and Nebraska. Award-winning dry-aged beef is what keeps Bay Area steak enthusiasts coming back to Harris' Restaurant. Cooked on an open range mesquite grill, Harris' beef is prepared by an in-house butcher and served in a variety of cuts. 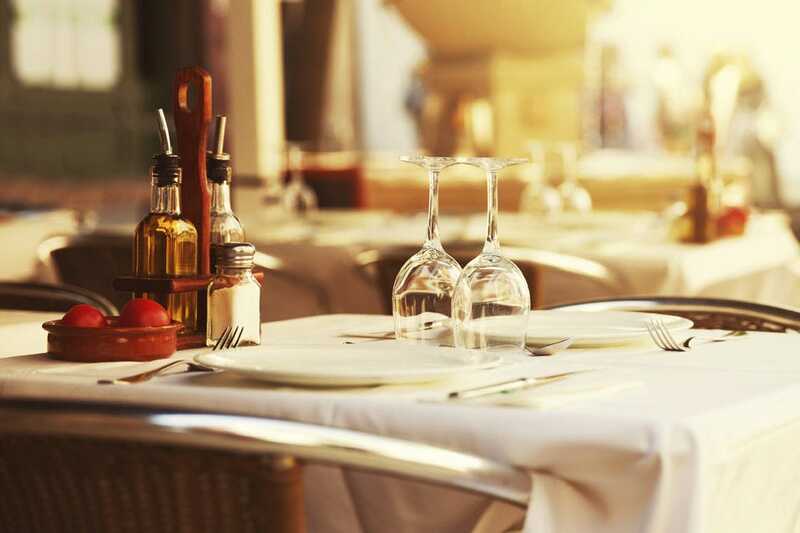 Diners enjoy everything from thick, bone-in New York steak to petite filet mignon and roast prime rib. Other top picks include the lamb chops, pan-roasted chicken breast and Atlantic salmon. The lounge features live jazz music nightly. We don't make it a habit of recommending franchises, but Ruth's Chris Steakhouse has earned its place on this list. 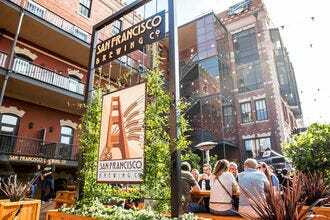 Although the corporate headquarters is in Florida, the San Francisco steakhouse has along tradition here, reflected in its thoughtful California wine selection that includes Mondavi, Beringer and Stag's Leap. This is traditional steaks at its finest and biggest, including the tablespoon of butter added to the meat just before it leaves the kitchen to add that signature sizzle. If you're feeling homesick on your trip, and a good steak tastes like home to you, then substitute Mission burritos or NorthBeach Italian or Chinese dim sun for the tried and true familiarity of a sizzling steak. If you're not ready for a California new-wave type of steak, but you don't want to sit down at a steakhouse that just feels like one of the chains from back home, then Izzy's Steaks and Chops might be your best bet. Although the latest incarnation of Izzy's in 1987 on Steiner Street is relatively recent, it's namesake, Izzy, is a much beloved local figure from early 20th century San Francisco. 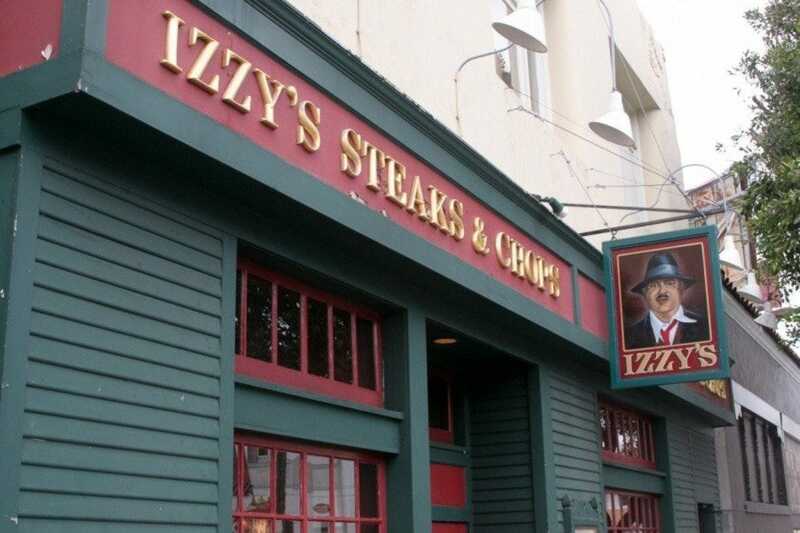 Izzy was kind and welcoming to everyone who entered his North Beach saloon, and that generous and affable spirit pervades Izzy's Steaks and Chops. This steakhouse doesn't just rest on its popular history, though; like all the restaurants on this list, Izzy's earned its place because of the top-notch meat. Izzy's steaks, humanely raised USDA certified corn fed Black Angus beef from locally owned and operated Creekstone Farms, makes Izzy's a top San Francisco steakhouse. If you need a side of Marines with your steak, you can get both in the heart of San Francisco at Leatherneck Steakhouse. Don't worry, though - the name comes from the slang term for members of the US Marine Corps, not for the taste of their beef. Hidden away on the top floor of the Marine Club in San Francisco's iconic Union Square, Executive Chef Paul Lozito's dinner menu includes Prime Rib, Filet Mignon, Petite Filt Oscar and NY Strip. If you're eating out on a weekend night, be prepared for a dining hall full of patrons preparing to attend a show at the Marines Memorial Theatre. The restaurant is formally decorated with military memorabilia, and most nights also feature live piano music during dinner hours. If you want to the international feel of San Francisco, but also yearn for the warm fuzzy of comfort food that only a good steak can offer, you're sure to go home satisfied after a decadent meal at this stylish steakhouse. Located in the financial district, 5A5 Steak Lounge presents an upscale, contemporary take on the traditional steakhouse atmosphere and fare. Choose from entrees featuring top quality US Certified Angus Beef, American and Australian Kobe, and 100% Japanese Wagyu. 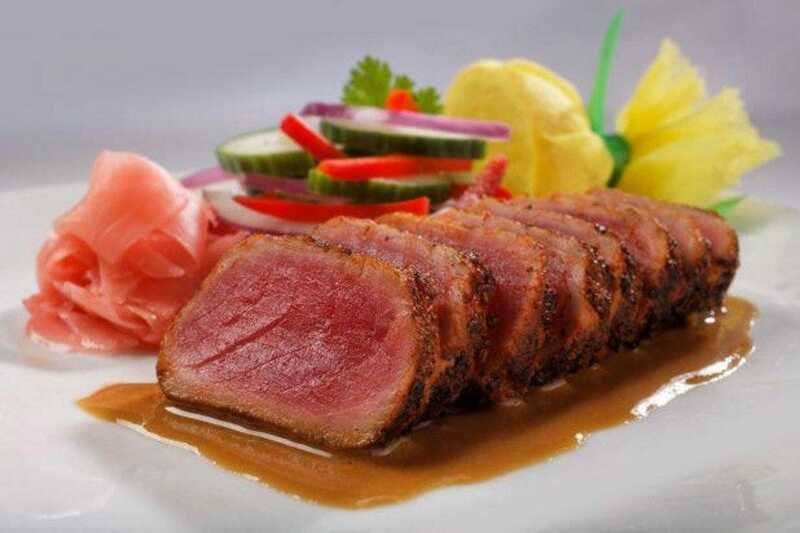 The restaurant takes its name from this signature A5 Japanese meat, which is the highest rated meat in the world. Or, spring for other menu musts like Colorado lamb, fresh-caught salmon and the vegetarian special. If you're done with the stuffy, white-starched formal atmosphere of most steakhouses and just want to have fun, head to Boboquivari's. 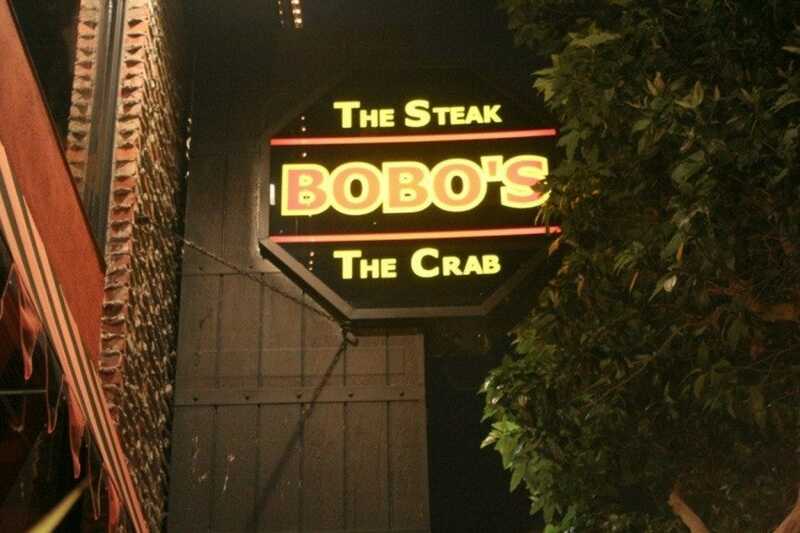 Renowned for its delightful crab dishes and distinguished dry-aged steaks, "Bobo's" comes highly recommended by locals and out-of-towners alike. The crispy crab cakes are a favorite starter for seafood enthusiasts, and the divine Dungeness crab roasted in garlic sauce is an equally popular main course. Other top picks include the bone-in filet mignon and the Surf & Turf: half crab, half petit filet mignon. Be sure to try a signature martini, too. The atmosphere may be colorful and playful, best rest-assured that culinary-trained and Italian born Executive Chef Andrea Froncillo takes his meat very seriously. If you feel more comfortable leaving your steak preparation to a Texan rather than a Californian, then head to Bob's Steak and Chop House. Founded in 1993 in Dallas, Texas, this steakhouse follows the Texas tradition of the bigger the better. The cuts of meat are big, the glasses of wine are fish bowls, and the jumbo shrimp in the enormous salads could pass as lobsters. Even the atmosphere is as big and robust as a ten gallon hat. And, if you still have room, then order their Marbled Chocolate Amaretto Cheesecake to complete the shift of all your blood flow to your stomach. If your dinner happens to be your only meal of the day, make it a Bob's night out. Only in San Francisco could a Brazilian restaurant top a list of best steakhouses. California cuisine started in the Bay Area, a mixture of the finest foods from all different cultures, and Espetus reflects California cuisine at its best: imaginative, daring, breaking barriers but never, ever, forsaking experimentation for true quality. 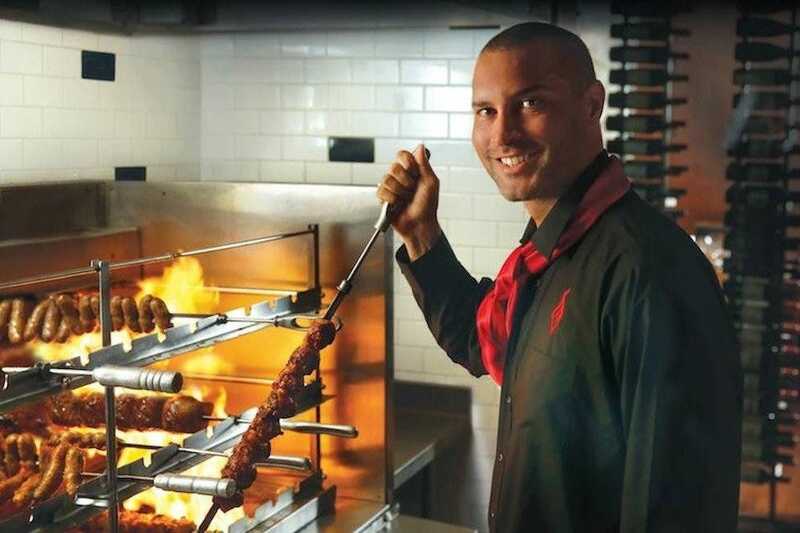 Experience those flavors of Brazil at Espetus Churrascaria, the area's premier Rodizio-style restaurant. Here, dedicated Gaucho Chefs serve premium cuts of beef, lamb, chicken, pork and seafood, all slowly roasted over open flame. The all-you-can-eat, prix fixe menu includes a salad bar and side dishes, and patrons control the pace of the meal via green ("yes, please") and red ("no, thank you") service chips. Although Bay Area cuisine is all about the latest "foodie" craze, if you're not all that much into someone messing around with your steak, then tuck a white linen napkin into your collar at the House of Prime Rib. 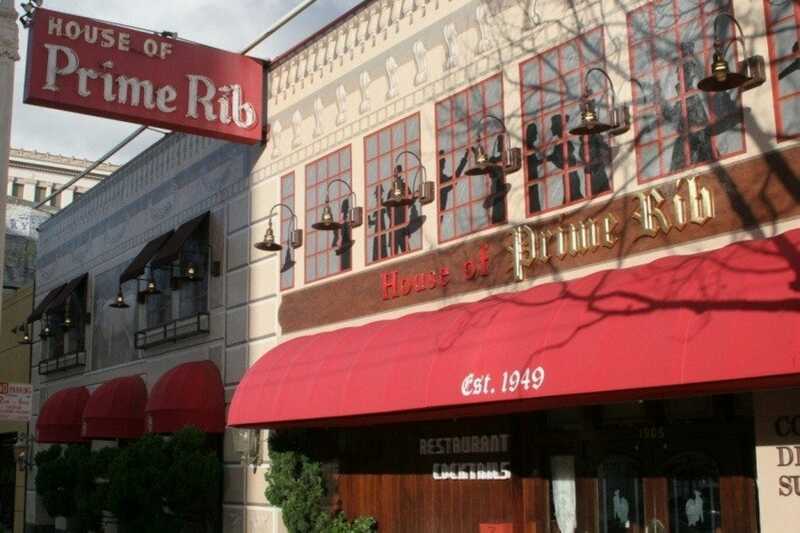 The iconic House of Prime Rib serves potentially the highest quality corn-fed beef in the Bay Area. 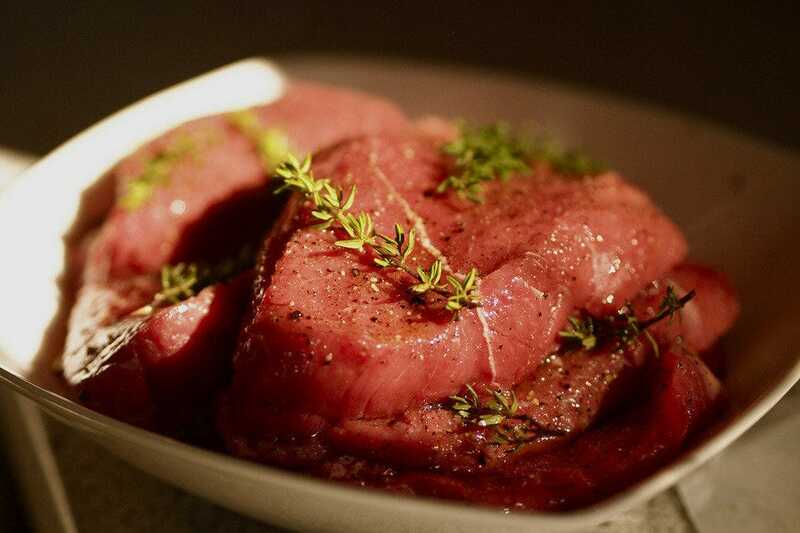 Their meticulously prepared meat is aged for 21 days, making it especially tender, juicy and flavorful. Diners enjoy well-marbled prime rib, carved tableside to their exact specifications, along with sides like fluffy mashed potatoes and creamed spinach. The dessert cart offers a decadent array of sinful sweets, and assorted wines promise the perfect pairing. 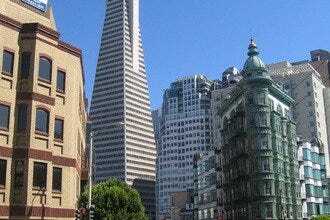 The only thing that Tom Molanphy loves more than the food, art, music, and culture of San Francisco is sharing it with others. San Francisco never gets old for Tom.